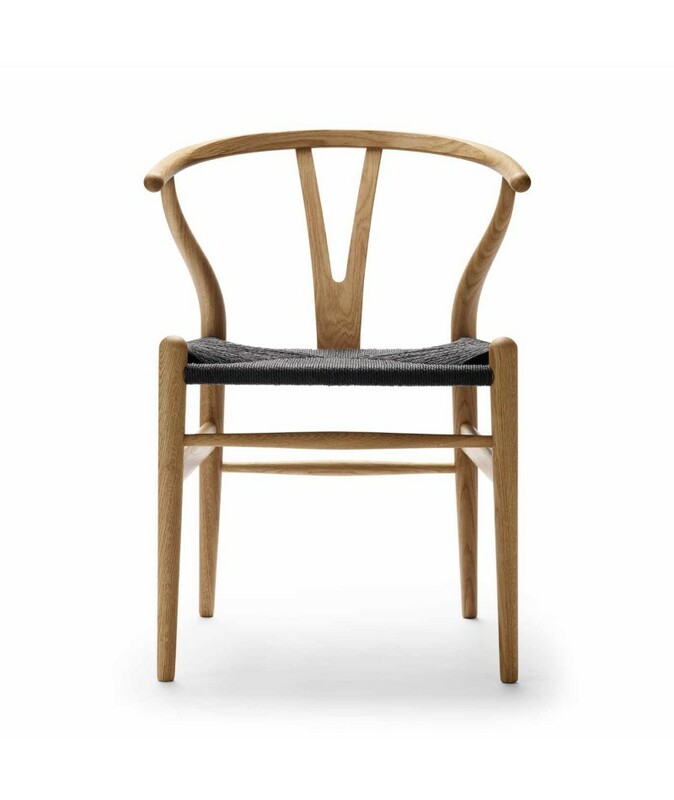 Hans J Wegner design, 1949 for Carl Hansen. 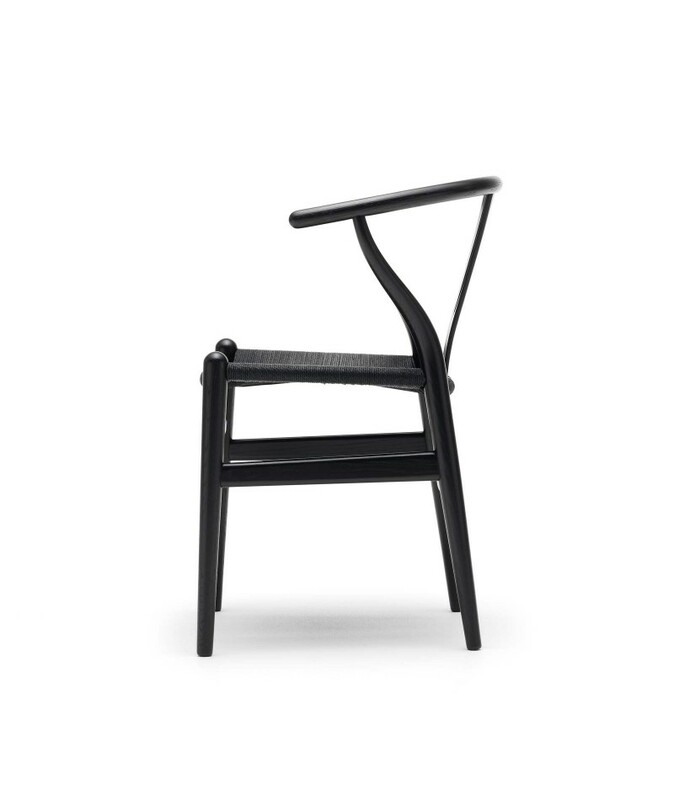 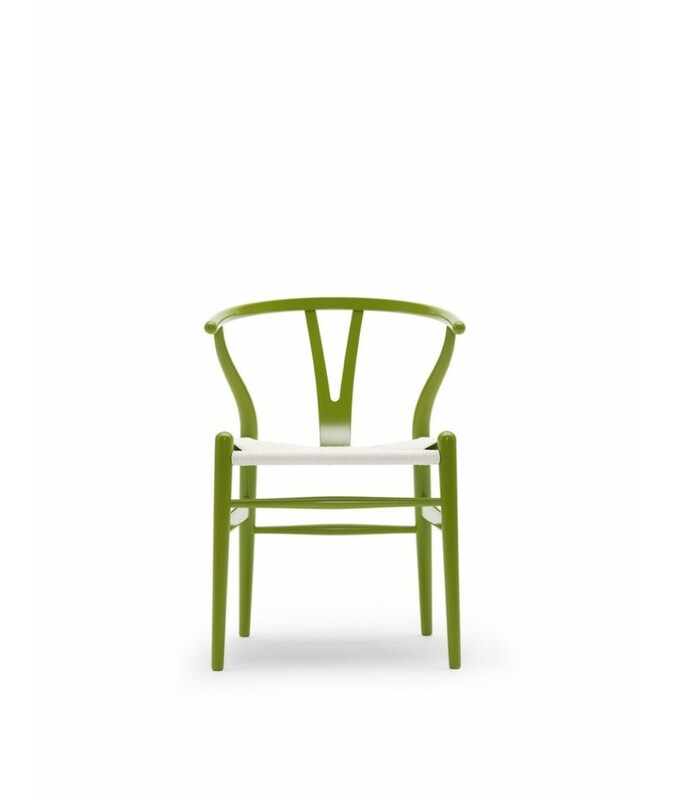 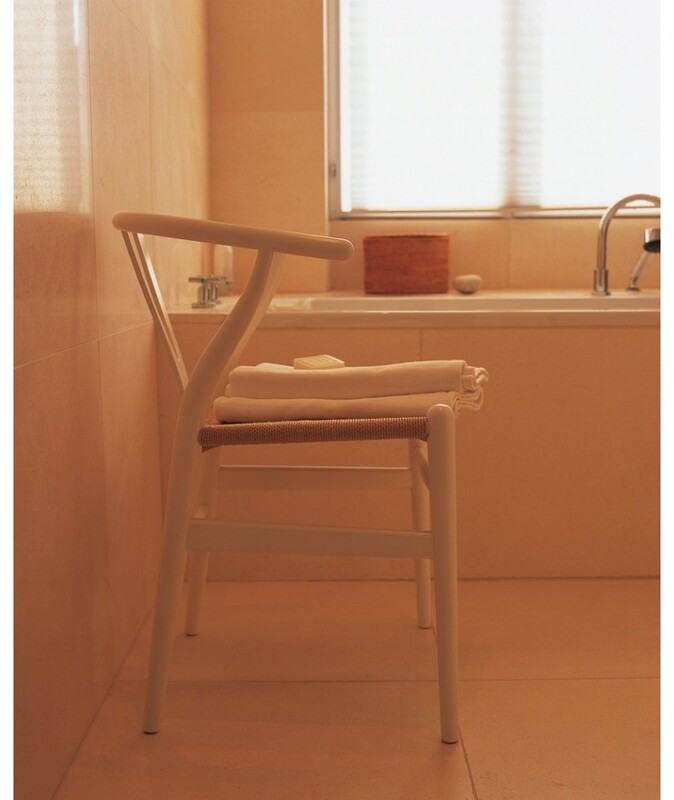 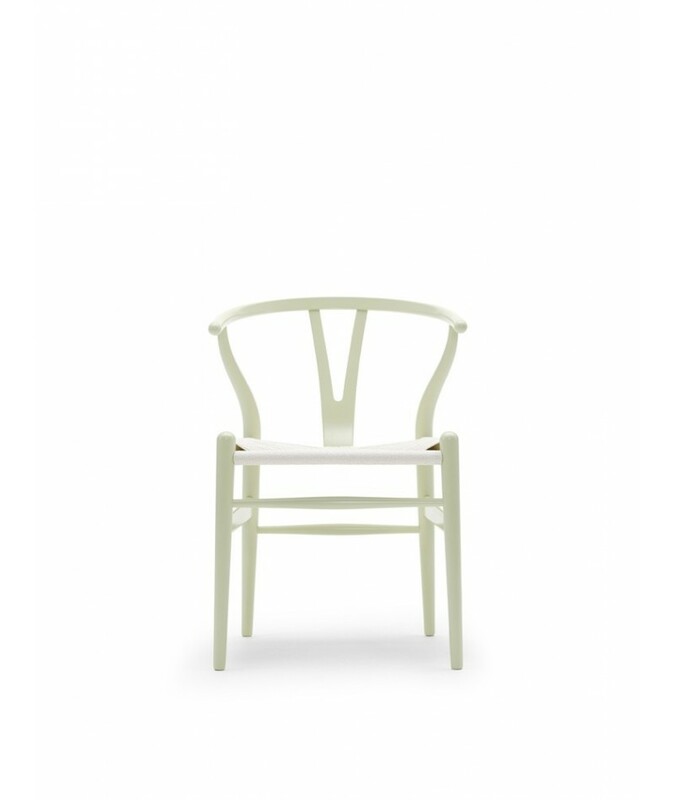 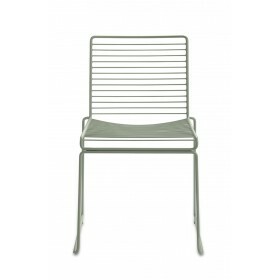 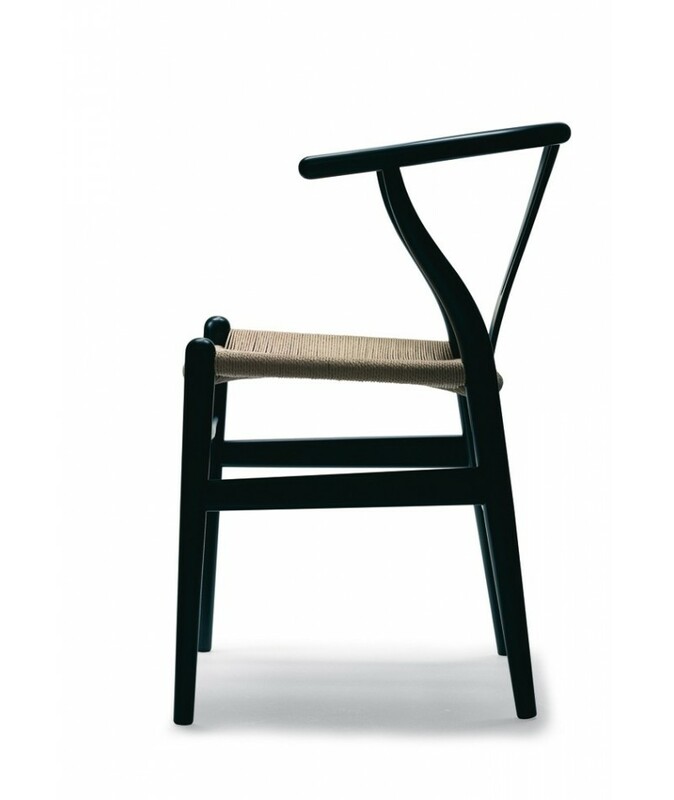 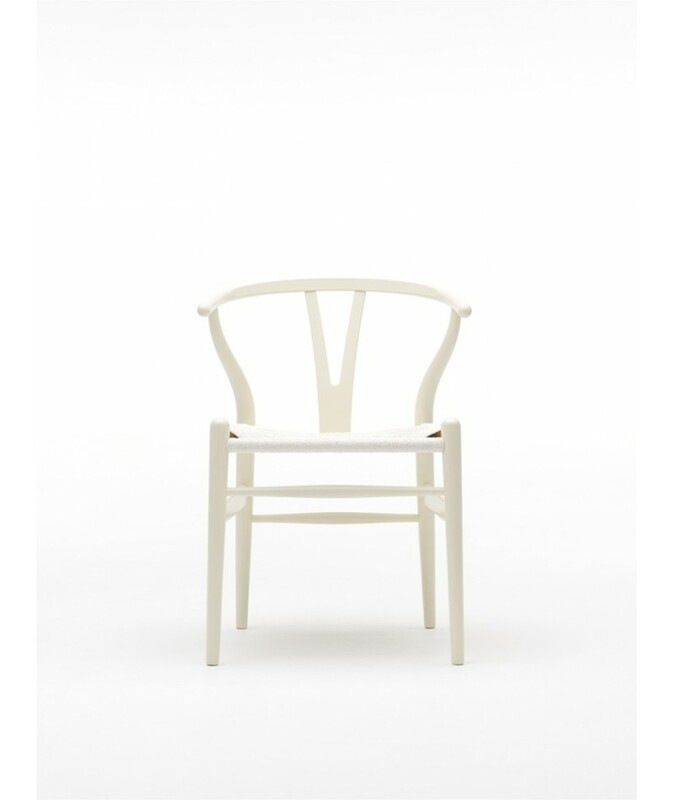 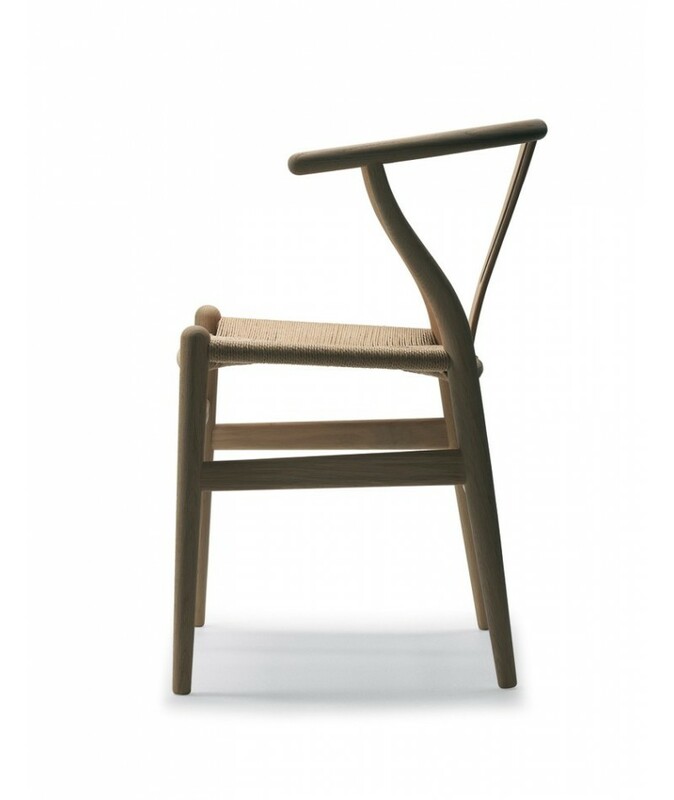 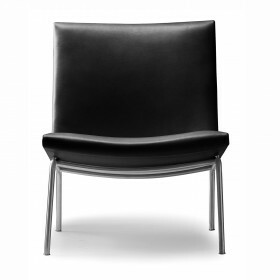 The CH24 chair is simple and functional and is one of the most emblematic pieces of furniture of the 20th century. 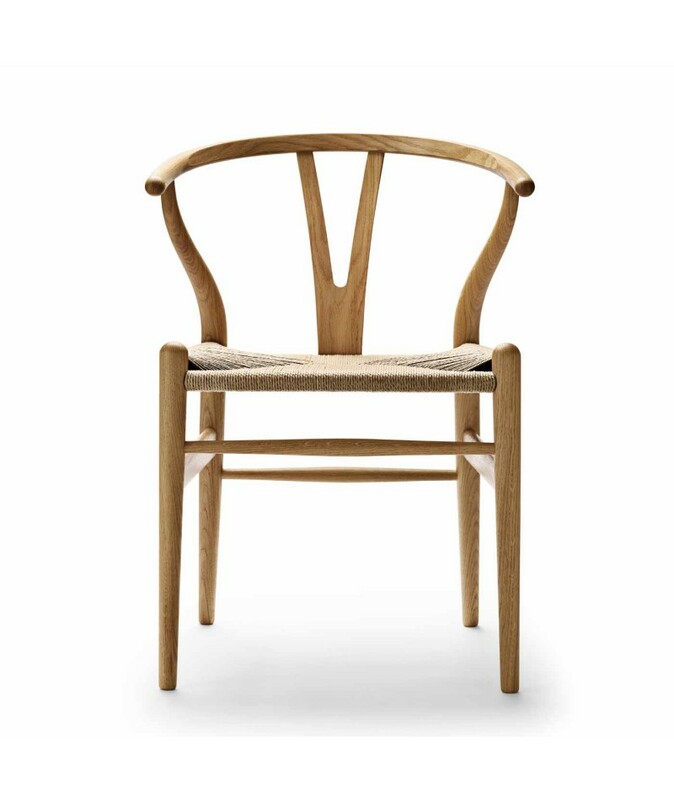 Inspired by the Chinese imperial style, under the Ming Dynasty, Wegner above all wanted to create a chair which would look beautiful under every angle. 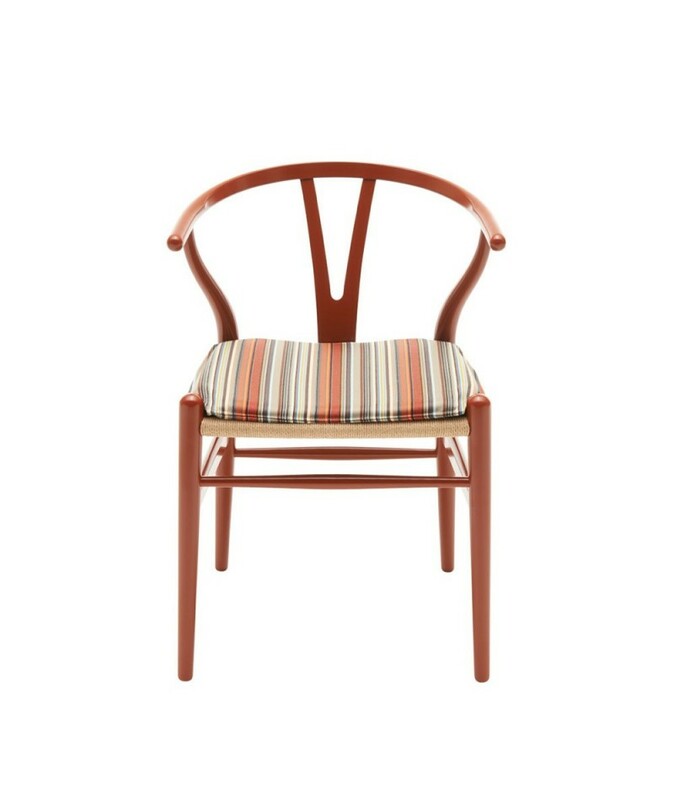 Perfect for a dining room or kitchen, but can also be used to embellish a bedroom. 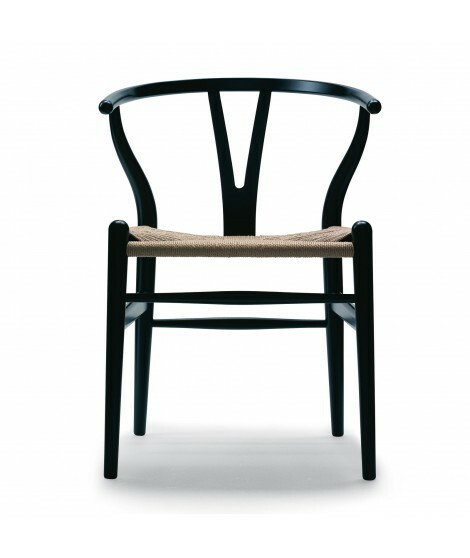 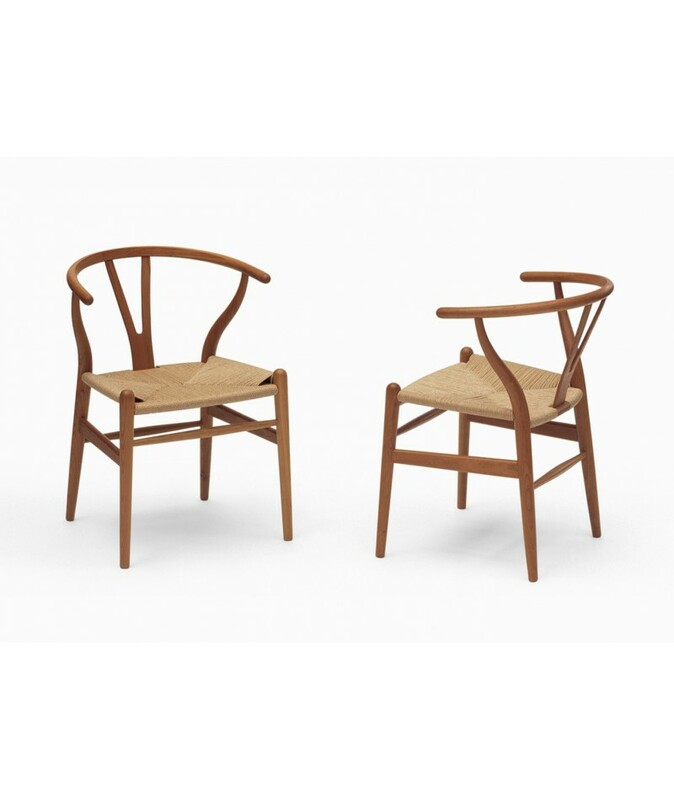 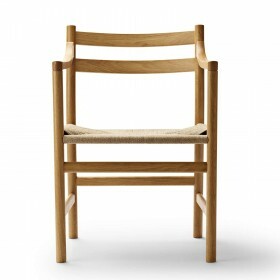 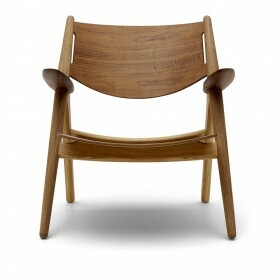 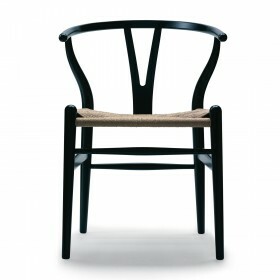 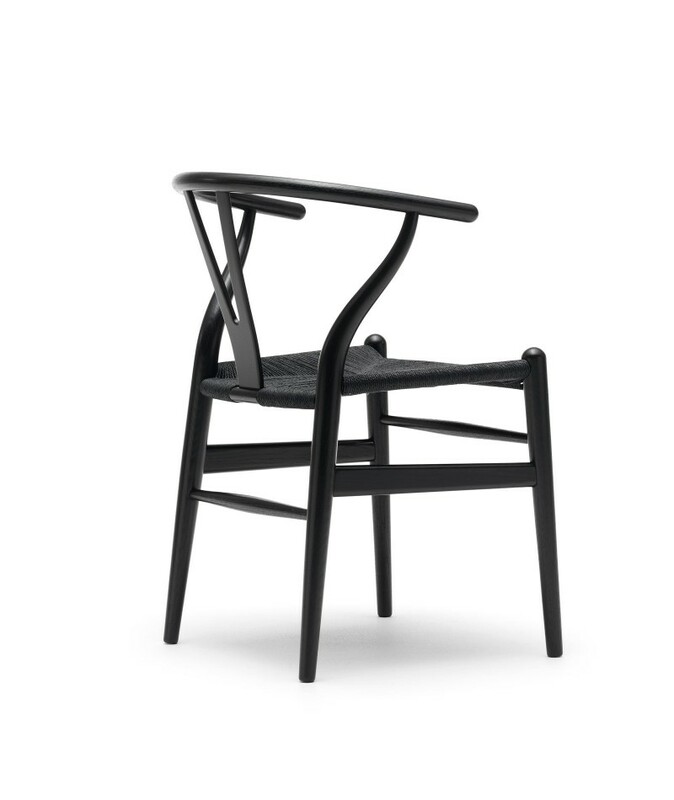 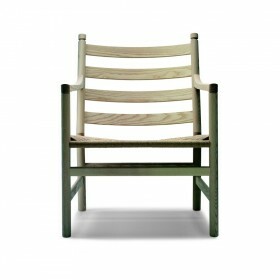 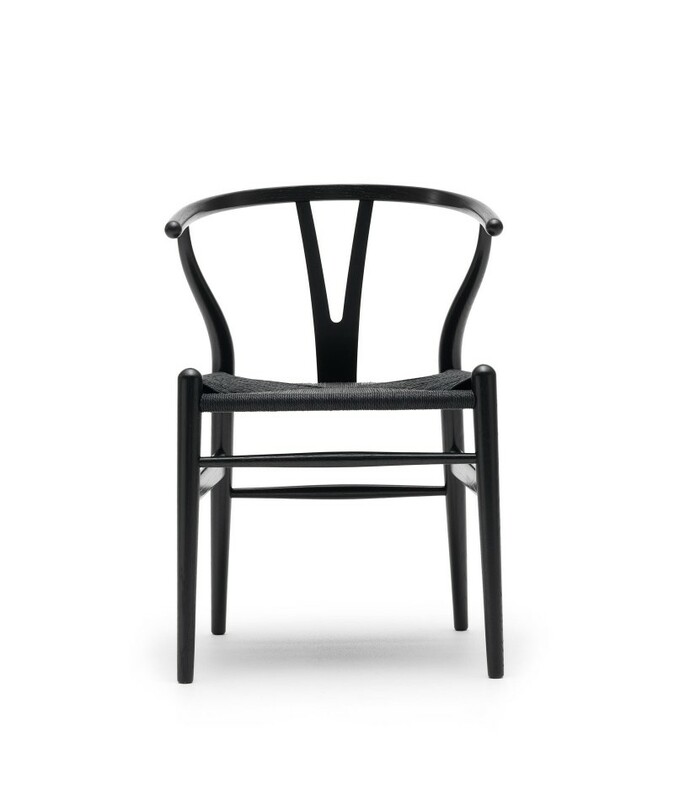 Design Hans J. Wegner, 1949 for Carl Hansen. 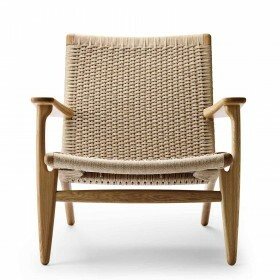 Chair in hardwood with hand-woven seat in natural paper cord. 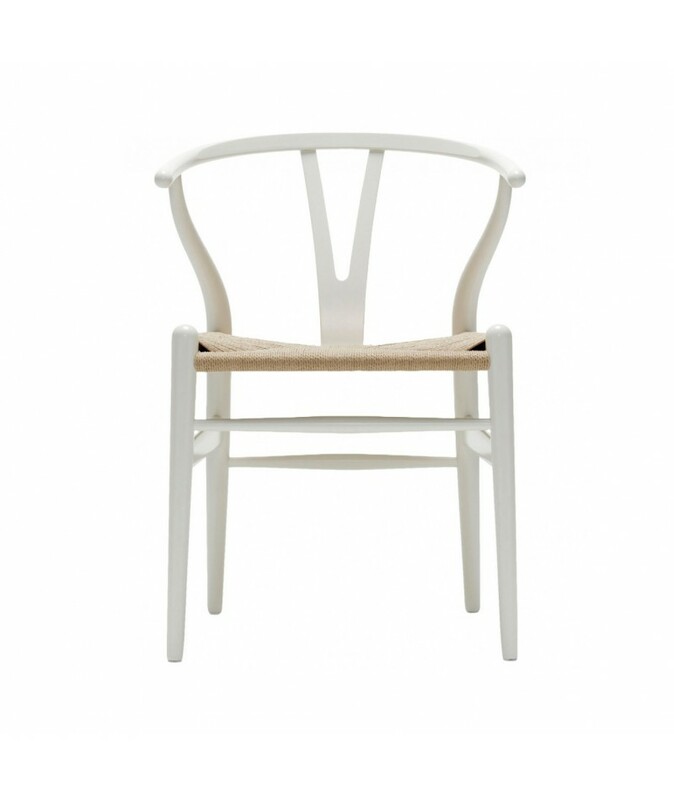 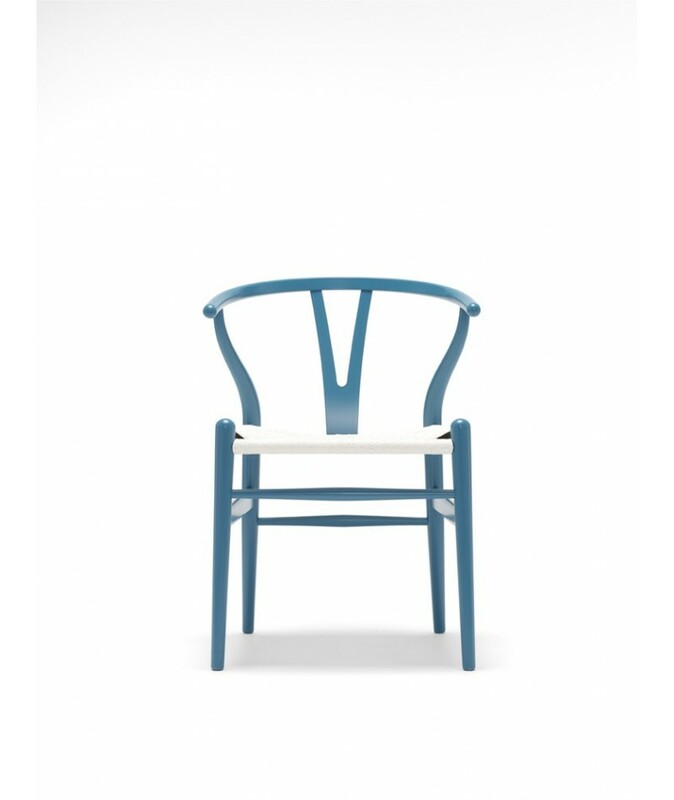 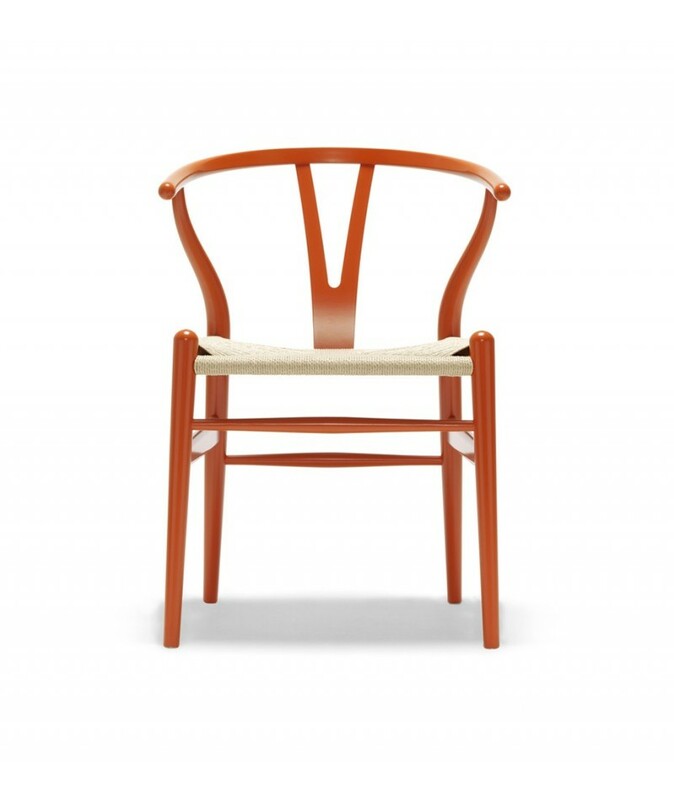 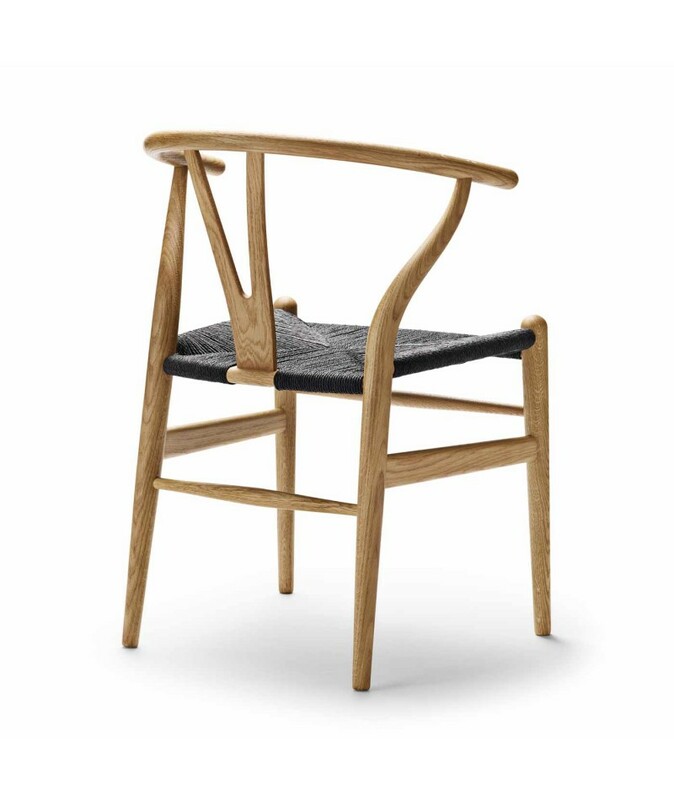 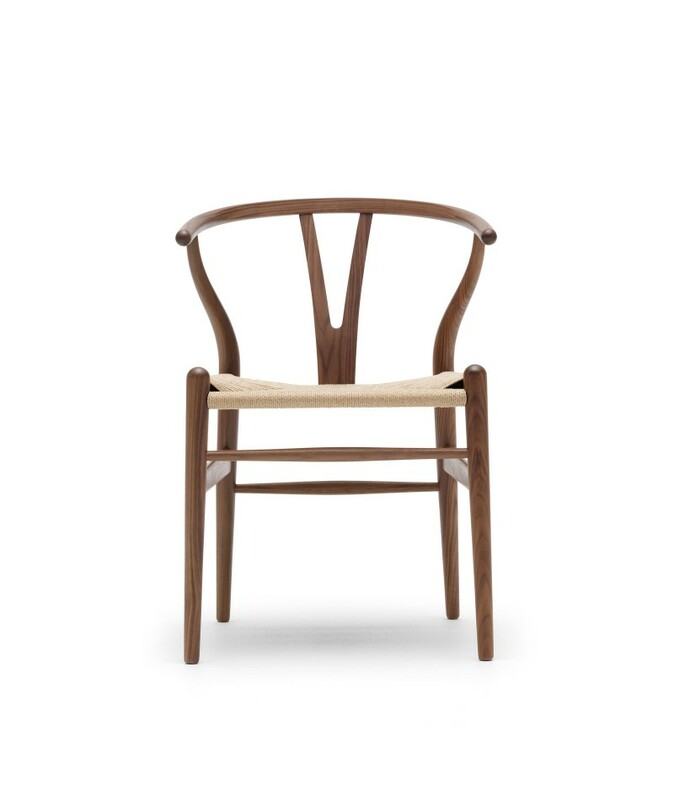 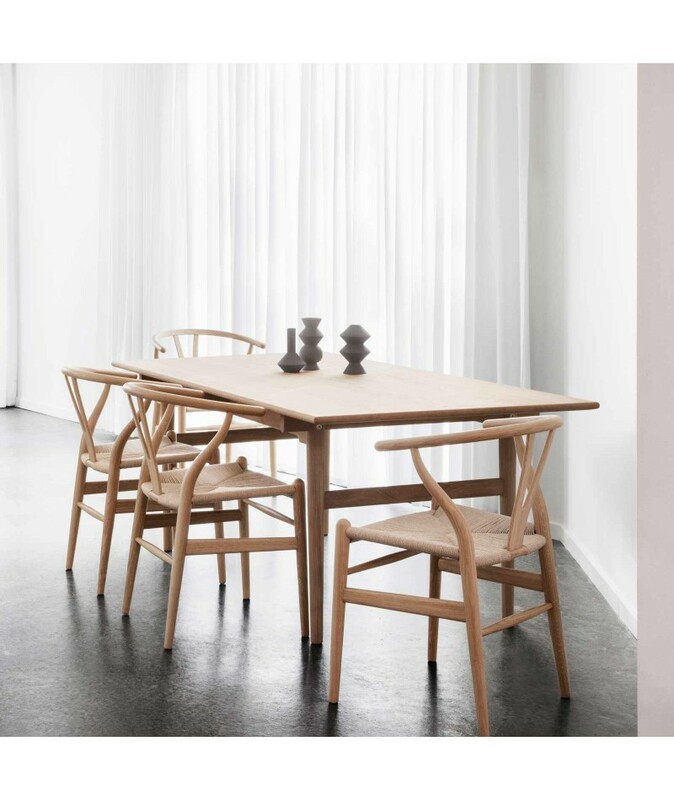 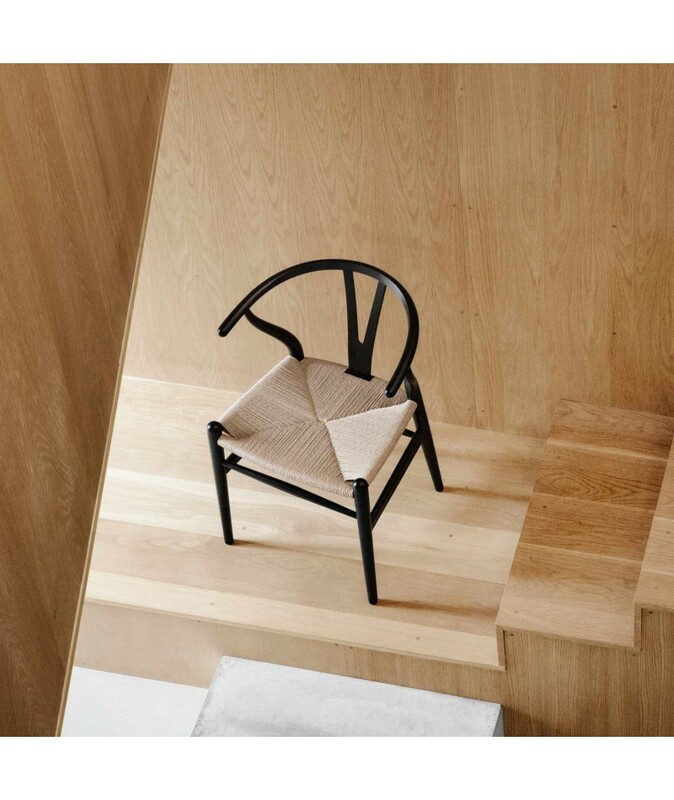 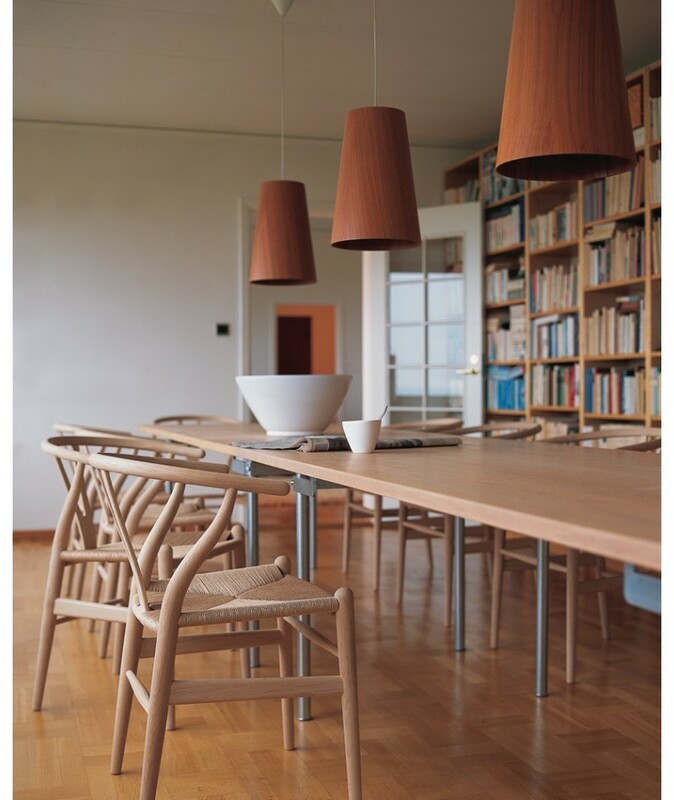 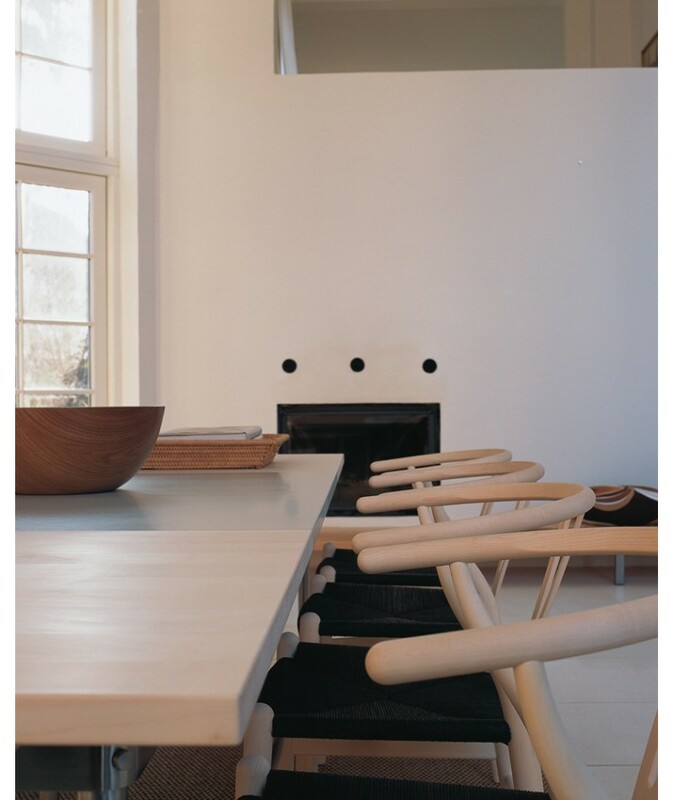 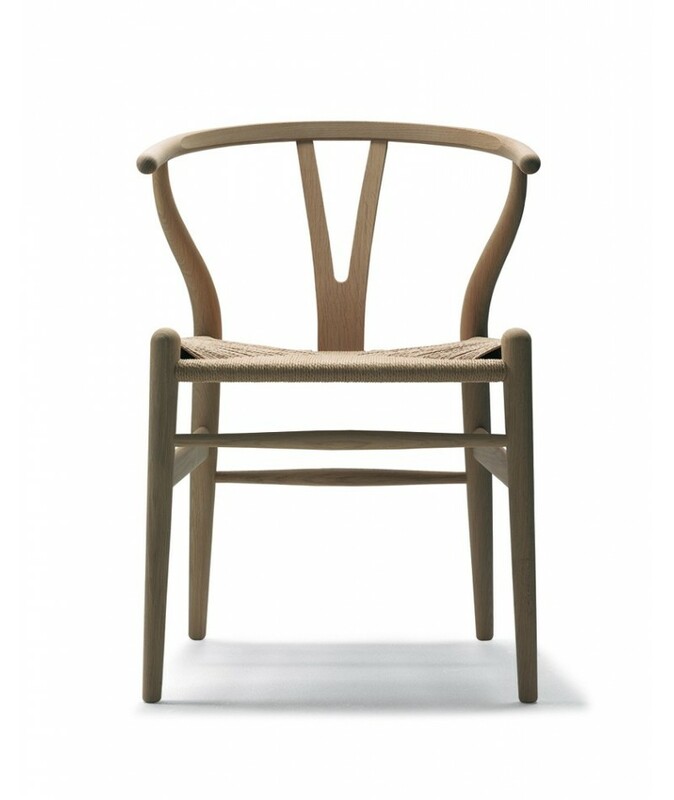 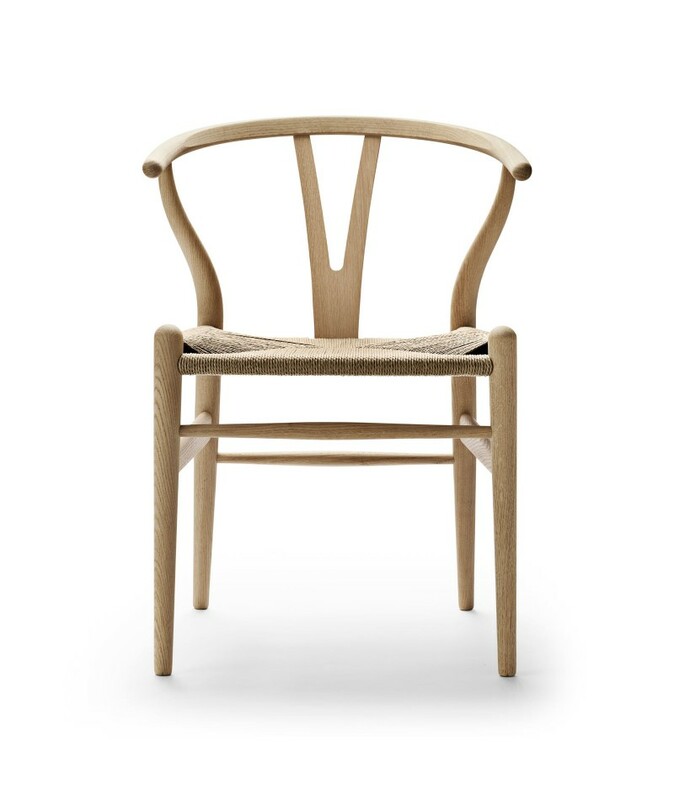 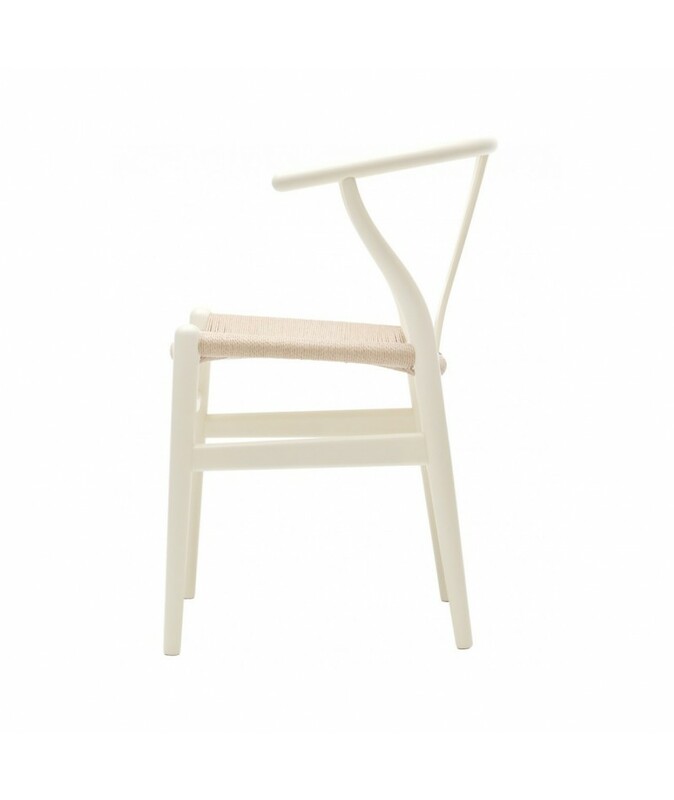 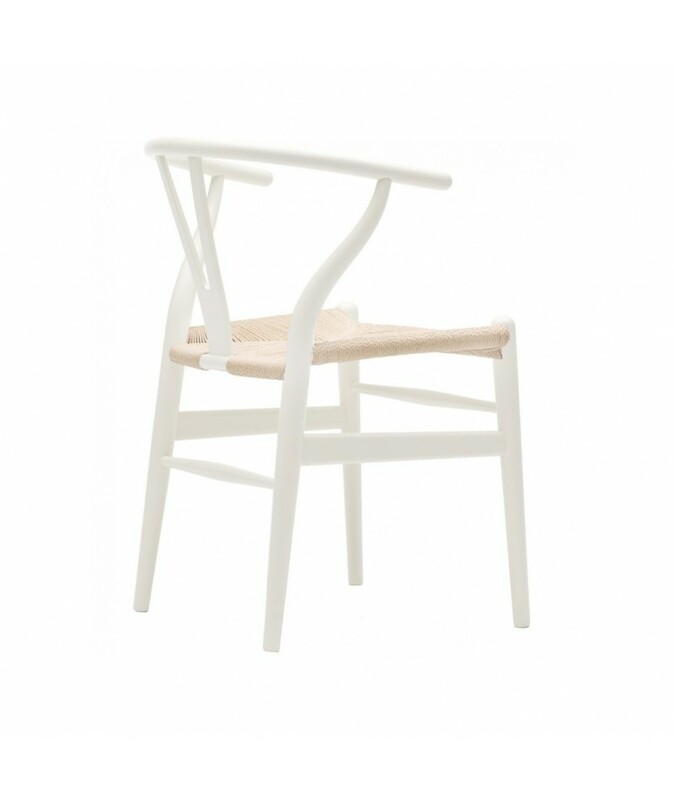 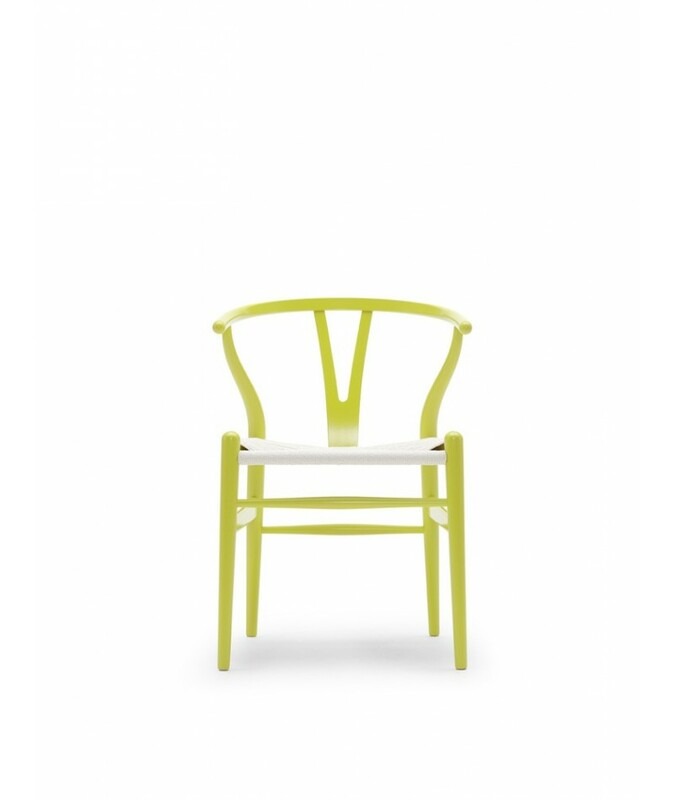 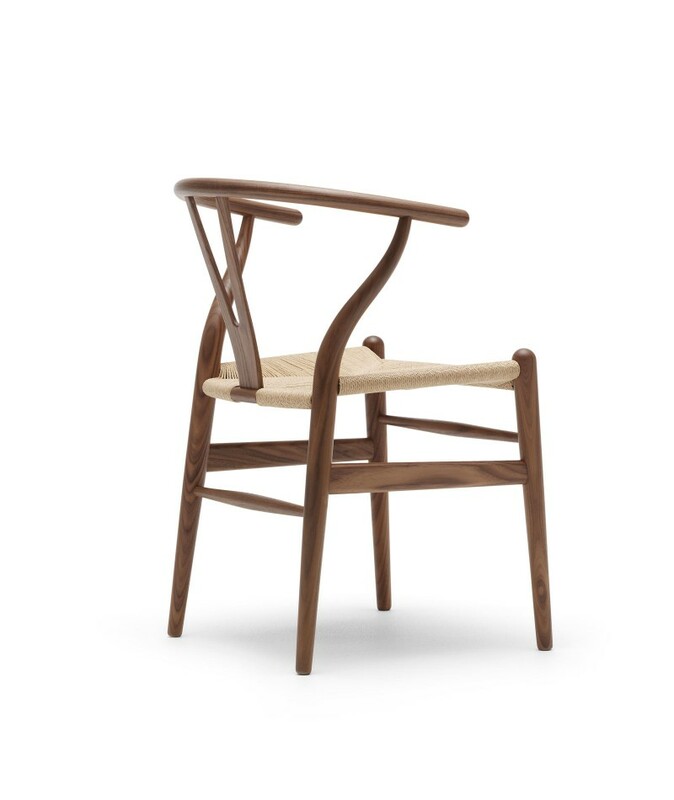 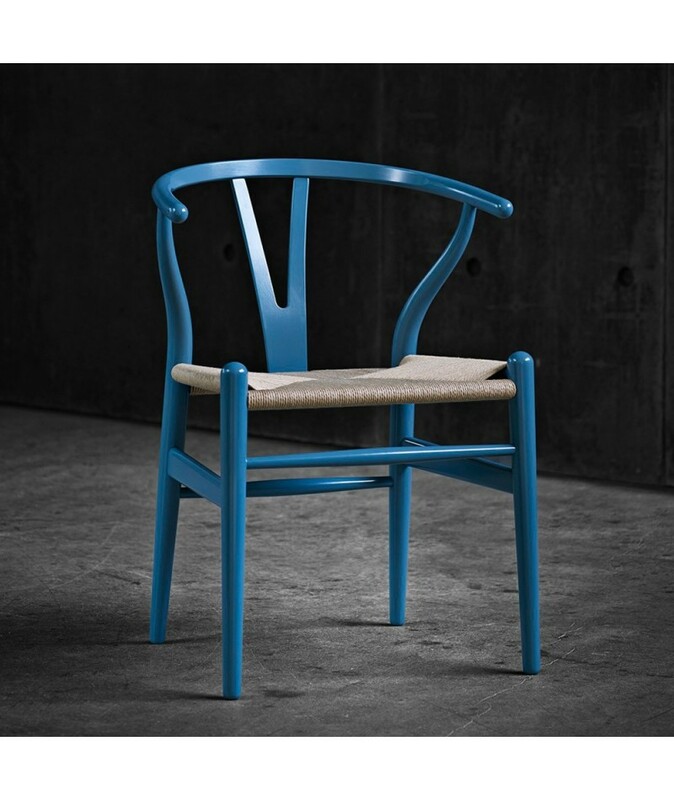 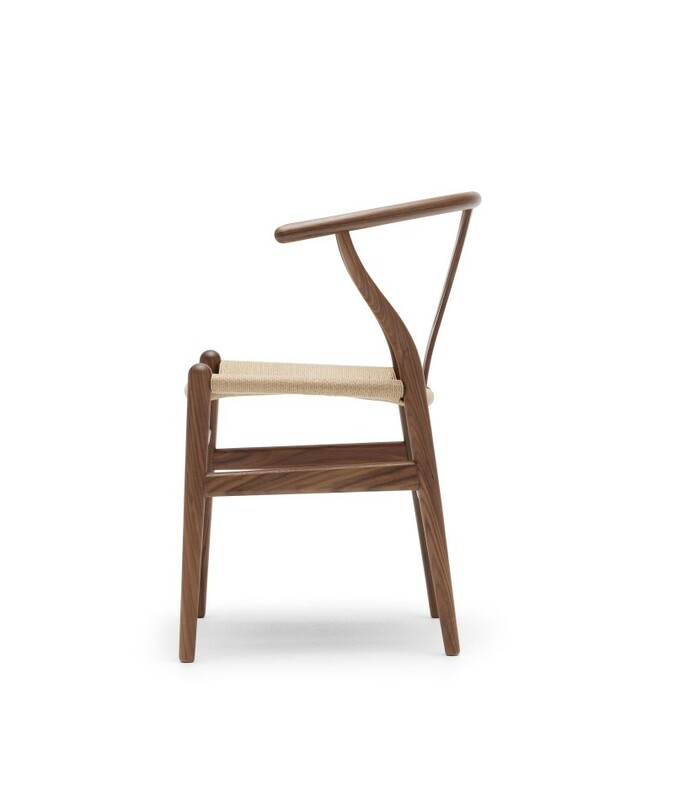 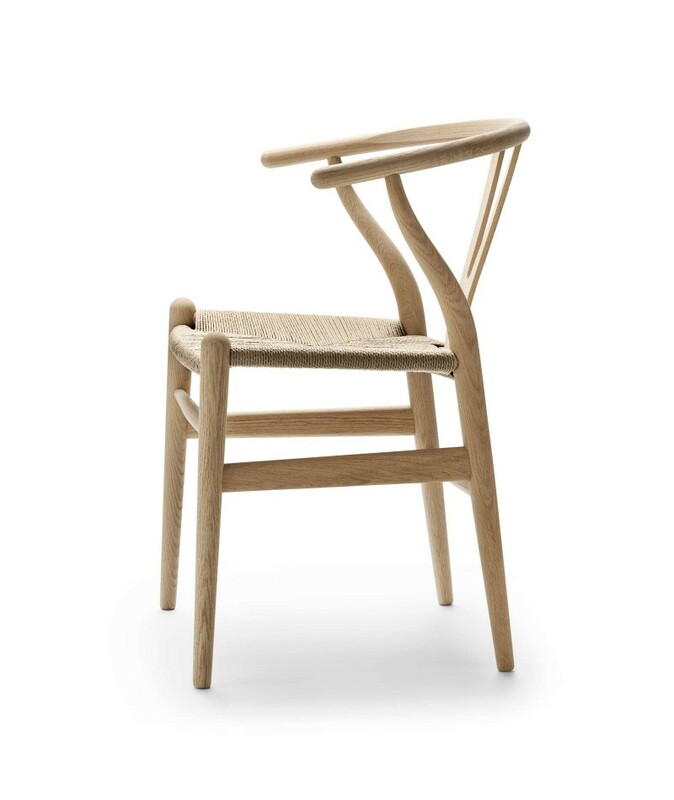 The CH24 chair, also known as the Wishbone Chair because of its Y-shaped back, reminiscent of a wishbone, is one of Hans Wegner’s most famous chairs. 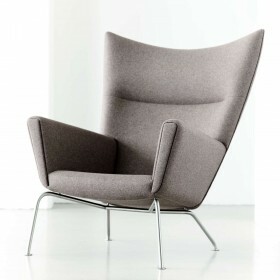 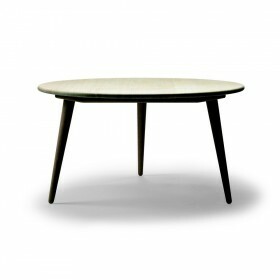 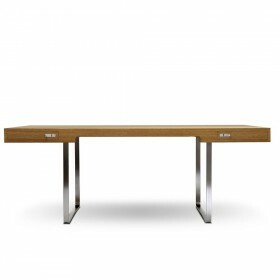 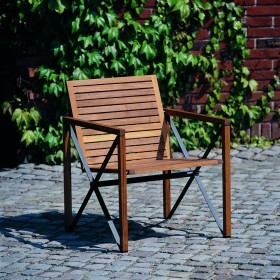 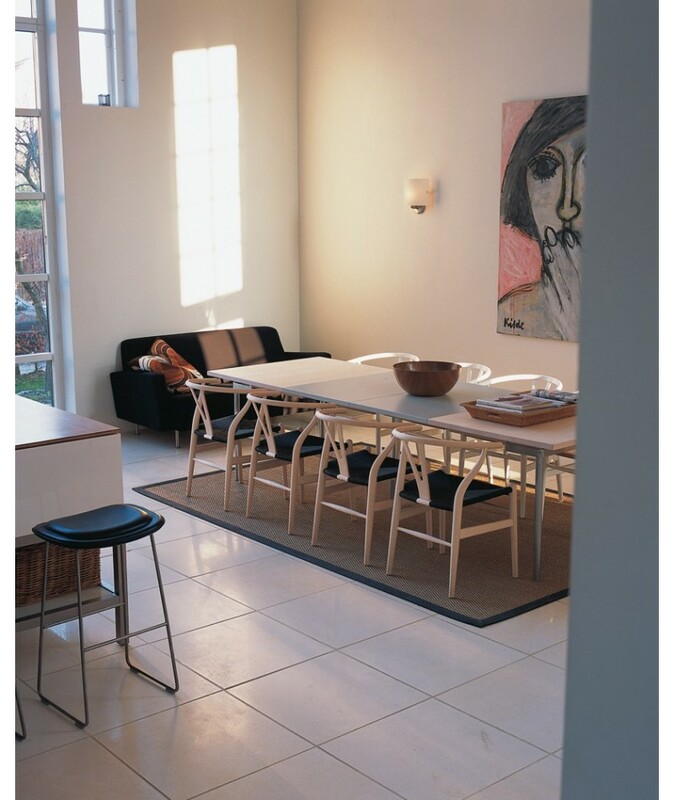 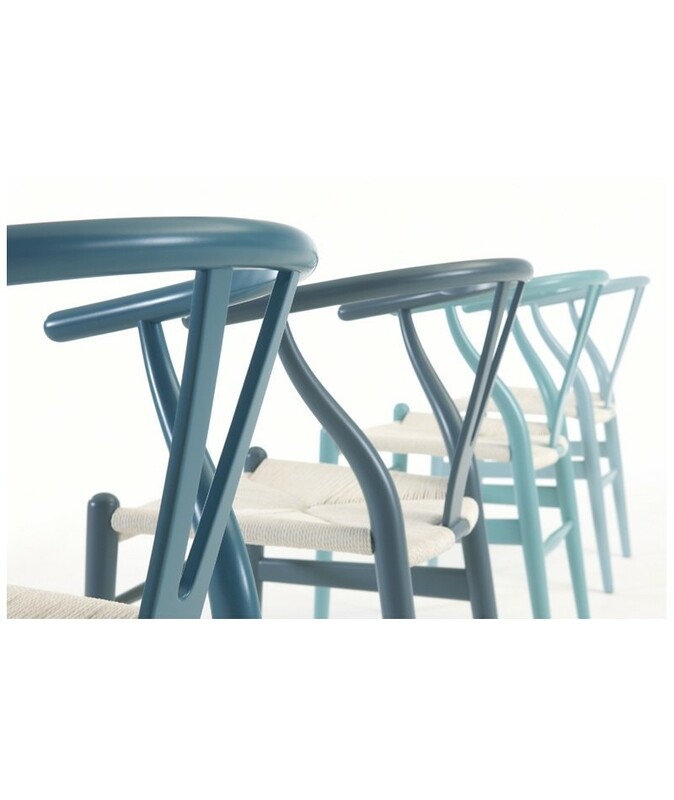 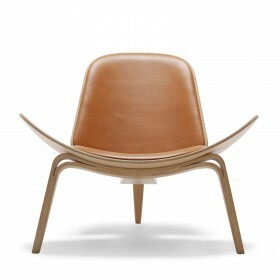 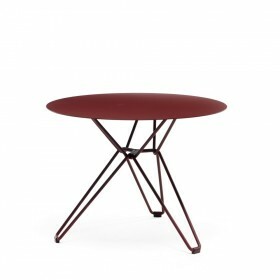 It quickly became a huge commercial success and helped make Denmark a world leader in furniture design. 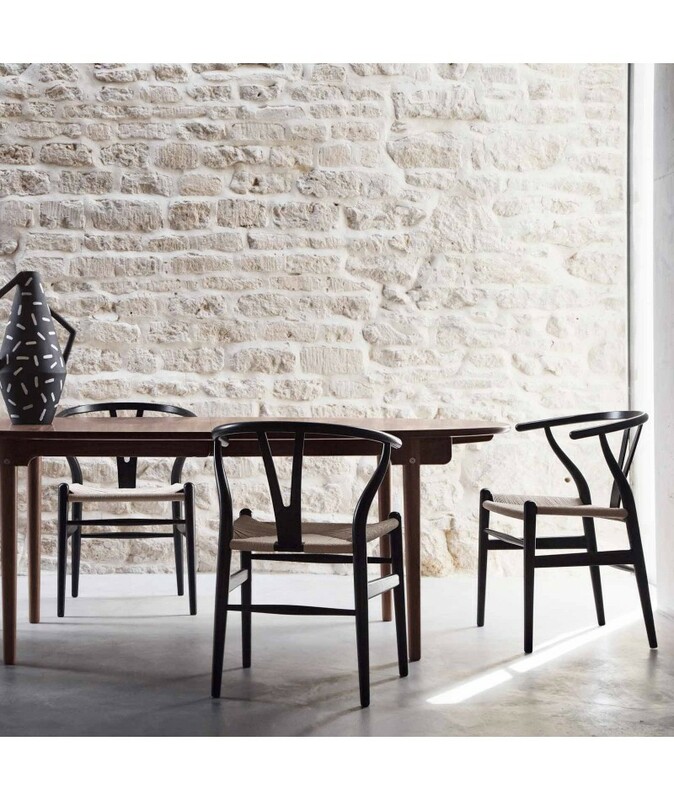 First designed in 1949 for Carl Hansen, the production of the chair has since continued for over half a century, proof of its continuous success. 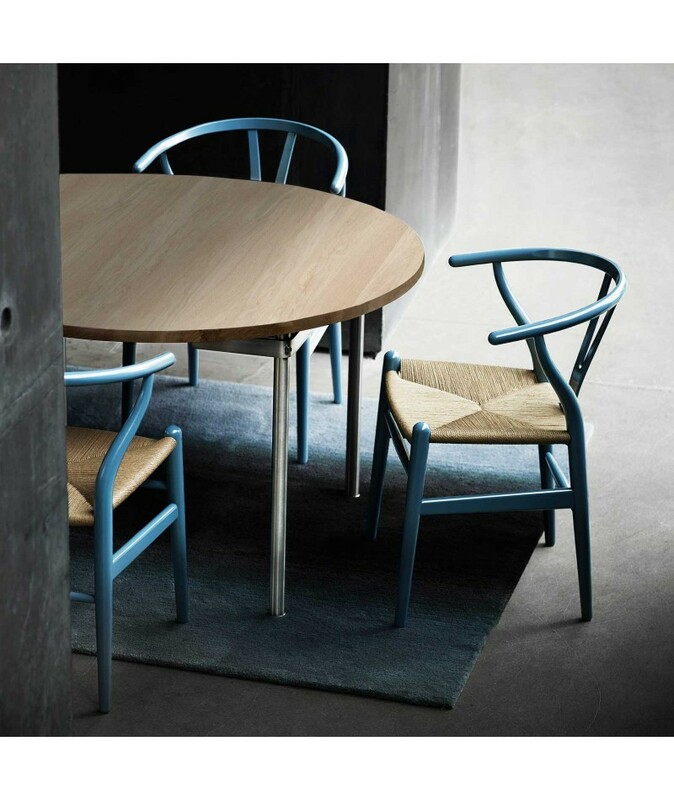 The Wishbone chair’s curved back legs give it a graceful and delicate appearance, while the top semi-circular arch, held up by the Y-shaped back, brings a touch of elegance to the structure. 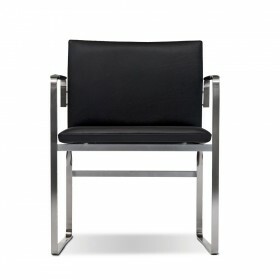 Its spacious and inviting seat makes it easy for the user to change positions, for optimal comfort. 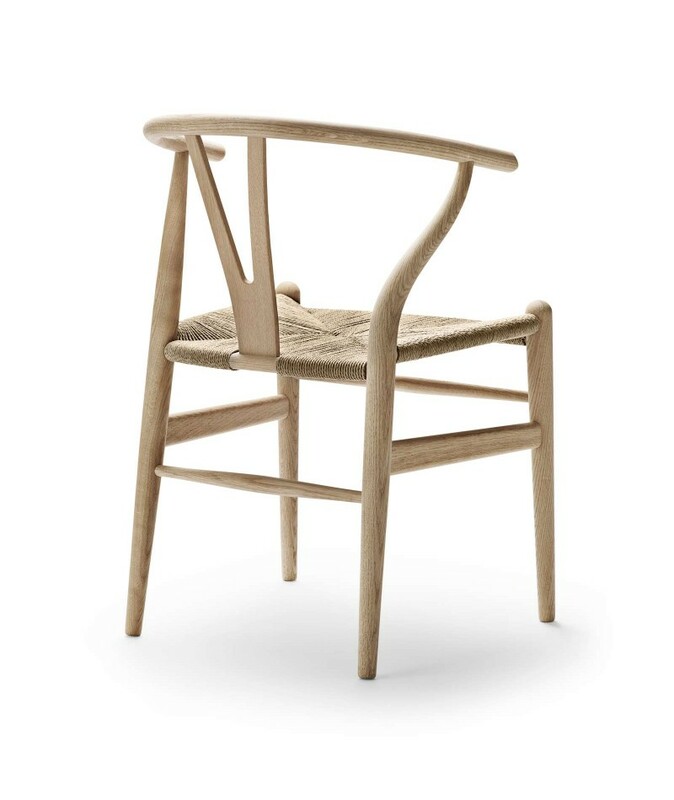 The manufacturing process requires over 100 manual operations carried out by highly qualified craftsmen, and each seat takes around an hour to weave. 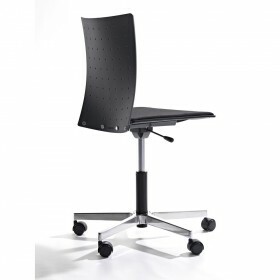 The result is a study chair of incredible quality and comfort. 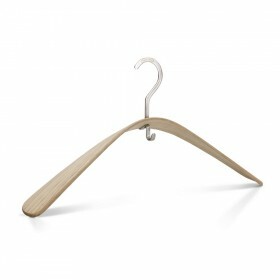 It is available in beech, oak, ash, maple, walnut and cherry, and in black or natural colored paper cord. 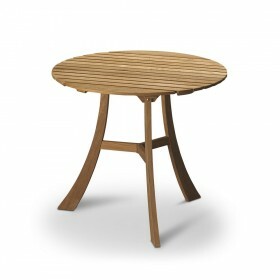 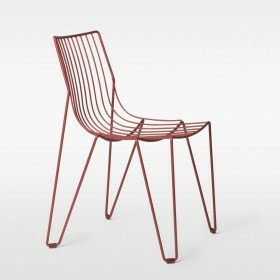 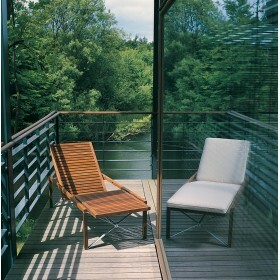 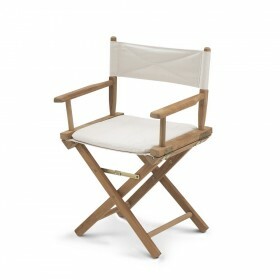 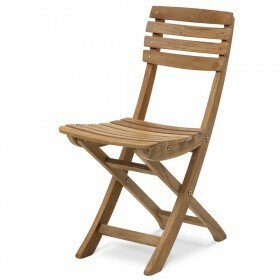 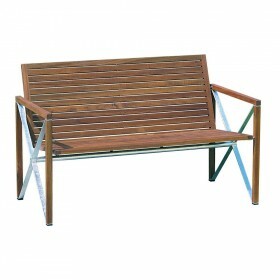 The wooden frame and woven seat are available in several color combinations. 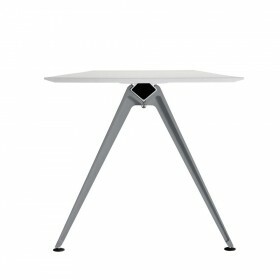 55 * 52 * 74 cm, seated at 45 cm. 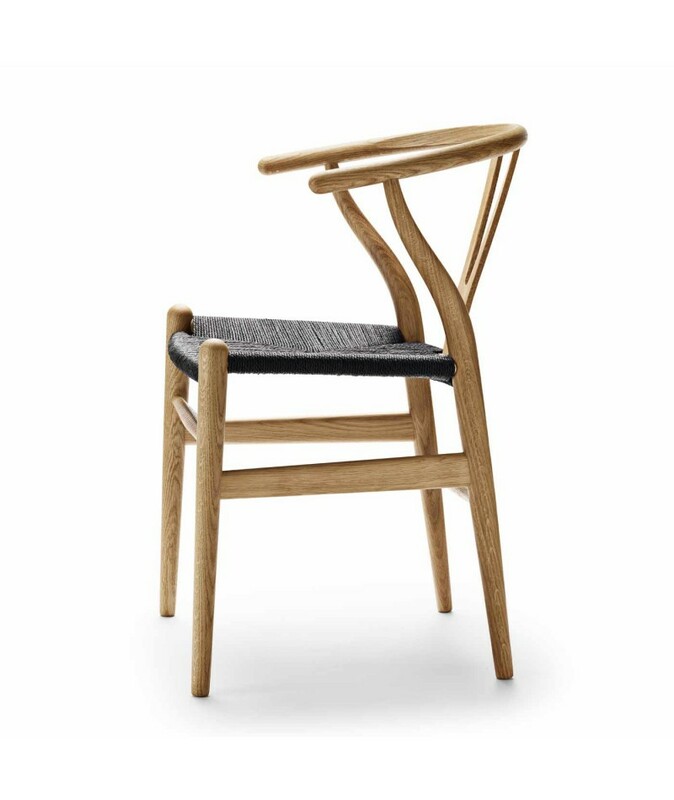 Oak, beech, ash, walnut, cherry, smoked oak or oak & walnet mixed. 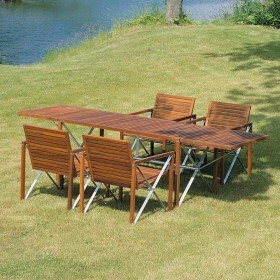 Cushions, white, black, red, brown, dark red, dark brown and cognac.